For the convenience of our guests, four options of airport transfer is provided. Seaplane, Scheduled Speedboat, Speed Boat Hire, or Public Ferry. Guests can combine their arrival and departure transfer options any way they like. 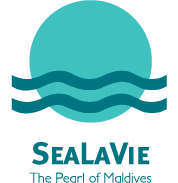 Malé to SeaLaVie Inn: Every day Departure 10:15am and 16:00, *Fridays 9:30am instead of 10:30 am. Depart from Jetty no. 5 or 6 in Male, or can take transfer directly from Airport Jetty. Guest can wait at the airport, or our airport representative will help. Departure Time: 07:00am and 13:00 *Fridays 14:00 instead of 13:00. Arrives at the airport about 8:40am and 14:40 *Fridays at about 15:40. Note: - Pre-reservation is required (before 1 day). - Arrival and Departure times. Airport pick up can be arranged free of charge upon request for your convenience. Guest house Staff receives Guests upon arrival at Ukulhas Jetty. During rough weather the trip might take longer as usual. Ukulhas to Male: every Sunday and Wednesday - Depart at 9:45 am from Ukulhas Jetty. Tickets can be purchased inside the Ferry. No pre-reservation is required. Note: The public ferry will first have a short stop at Rasdhoo Island and then go further to Male or Ukulhas. Rarely the guest may need to change the ferry from Rasdhoo. Time: Any time during day time. - Airport to Ukulhas (Pick up at Airport and Drop at Airport). Price USD 500 per trip (Small boat only on very calm days). Price USD 700 per trip (with normal boat as on usual weather). Terms & Conditions: - Pre boat reservation is required (before 3 days) for the Speedboat to be arranged. - Note: Guest house Staff receives Guests on arrival at Ukulhas Jetty. - During rough weather the trip might take longer as usual. Trip Duration: 20 Minutes. Seaplane flight operates during the day time only between 05:30 am -05:00 pm. USD 520 per Person Round Trip (Adult), USD 260 per Person One Way (Adult) $260 per Child Round Trip (2 to 12 Years) USD 130 per Child One Way (2 to 12 Years) Infant (up to 2 Years) Free of Charge. Please note the seaplane arrives to a nearby resort, from there we will arrange to pick up on time. One-way Transfer will charge USD 50 per trip for the boat. Round Trip will charge USD 100 for the boat. Seaplane needs to be booked in advance (minimum 4 days). Trip Duration sometimes can vary depending on the Seaplane’s Rout.